2016: – 5 Gold medals were awarded to students ranked 1st, 3rd, 4th, 8th and 9th in the Invitation Round. 2017: – 4 Gold medals were awarded to students with 1 student ranked 4th in the Invitation Round. Hwa Chong Institution is a premier independent school with a rich history of 90 years. The school has the highest Oxford University and Cambridge University admission rate in Singapore and has the most number of awardees of the President’s Scholarship, Singapore. APMOPS is a prestigious event whereby students from countries in the Asia-Pacific region including Australia, China, India, Singapore, New Zealand and Vietnam have the opportunity to interact and compete with top students in Mathematics. This year, KinderWorld will sponsor Return Air Tickets: Hanoi – Singapore – Hanoi for the top students in Vietnam to participate in the Invitation Round. All expenses in Singapore including accommodation, food and local tours will be sponsored by Hwa Chong Institution. There are two Rounds in the APMOPS 2018 Competition. The First Round will be held at Singapore International School campus (operated by KinderWorld International Group) on Saturday, 07 April 2018. Students who are among the top qualifiers from the First Round will be invited to participate in the Final Invitation Round and Prize Presentation Ceremony to be held on Saturday, 26 May 2018 at Hwa Chong Institution in Singapore. Please be advised that students’ raw scores will not be publicized; only final results are released to parents and students. Singapore International School @ Gamuda Gardens; Gamuda Gardens 2 Road, Gamuda Gardens, Km 4.4 Phap Van, Hoang Mai District, Hanoi. Singapore International School @ Saigon South; 29, Road No. 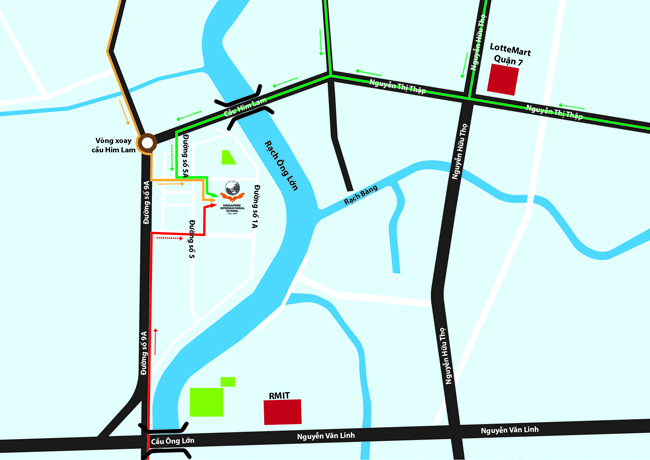 3 Trung Son Residential Area, Hamlet 4, Binh Hung Ward, Binh Chanh District, Ho Chi Minh City. Students have not participated in APMOPS before. Registration for APMOPS 2018 students will be held on Saturday, 03 March 2017 from 9.30am to 11.30am at Singapore International School @ Van Phuc, 2D Van Phuc Diplomatic Compound 46 Van Bao Street, Ba Dinh District, Hanoi. Top qualifying participants from the First Round will be invited by Hwa Chong Institution for the Invitation Round in Singapore. Each qualifying participant will require a current and valid passport with no less than 6 months validity. KinderWorld International Group will sponsor the 10 Top participants of Vietnam and invited by Hwa Chong Institution with return air fares: Hanoi – Singapore – Hanoi. All expenses in Singapore including accommodation, food and local tours will be sponsored by Hwa Chong Institution. All other expenses such as passport and personal allowance are not included. The winners of the Invitation Round will be announced on Saturday, 26 May 2018 at the Prize Presentation Ceremony in Singapore.